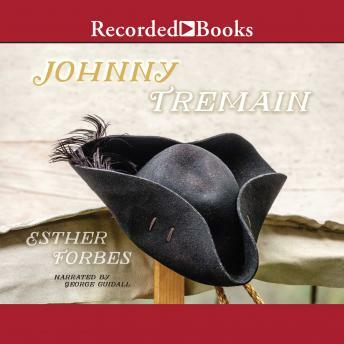 There was a purpose in what happened to Johnny Tremain, but he couldn't see it at the time. Johnny had been Mr. Lapham's star pupil, a clever, industrious apprentice silversmith, if not always well liked, at least envied by all who knew him around Hancock's Wharf. His skills had even been admired by Paul Revere, the finest silversmith in Boston. But when Johnny seriously burns his hand in a furnace, he finds himself crippled, without an occupation, and with no means of taking care of himself. It seems that fate has literally dealt him a cruel hand. Soon, trouble reaches Johnny's life in a new way. Swept along in the tide of events leading to the Boston Tea Party and the first skirmishes of Lexington and Concord, Johnny finds a job as message-carrier for the Sons of Liberty. As young and old men alike make sacrifices for a new country, Johnny prepares to take his own stand in the cause for freedom.